200 B.C. – 200 A.D. Greeks (Balkh), White people (Skuthoi) and Pathia invaded India successively; Skuthoi invaded particularly extensively, and they established many principalities throughout West India. The people in Central Asia became the most successful invaders. They established a powerful Kushan Empire in North India, which was listed as one of the four great empires in the classical world (Roman Empire, Parthian Empire, Kushan Empire and Han Dynasty). The precious products of the precious frost era are Mahayana Buddhism and the Gandhara Art.Click Here For More. A.D. 320 – 540, After centuries of power, the Kushan Empire split into small political forces. Their dominant position in northern India was replaced by the Gupta Dynasty established by Gupta I. The Gupta Dynasty was the first powerful Dynasty in India after the Maurya Dynasty and the last empire established by the Indians. It was often regarded as the golden age of Indian classical culture. Around 700 A.D. The Hephthalite who invaded India from Central Asia seriously damaged the Gupta Dynasty. The Hephthalite were later assimilated by Indian society, but their activities in the 5th to 6th centuries contributed to the disintegration of the empire. Many local princes and nationalities opposed the central power of the Gupta dynasty, and the Empire quickly collapsed. Around the seventh century, a new force emerged in North India, the Rajputs. They played a prominent role in Indian history after the 7th to 8th centuries. 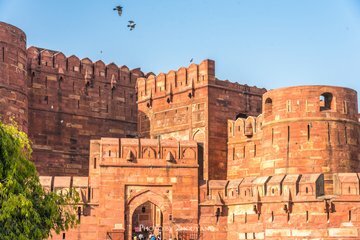 The historical period between the Muslim conquest of North India in the mid-7th century and the end of the 12th century is often referred to as the Raja Putra Period (Rajaput period).